A majority of Russians say that top officials are lying to them about the true state of affairs in the country, according to a new survey released by the independent pollster Levada Center. 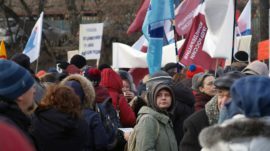 According to poll results published by Levada on Monday, 52 percent of Russian respondents said that top officials “always” or “largely” hid the truth when describing the country’s economic situation, health care, pensions or the fight against crime. Distrust in politicians jumped 15 percent from last year and reached a majority for the first time in the eight years that Levada has been holding the poll. Since 2010, the share of people who say top officials “always” or “largely” tell the truth has nearly halved, from 21 percent in 2010 to 12 percent last year. 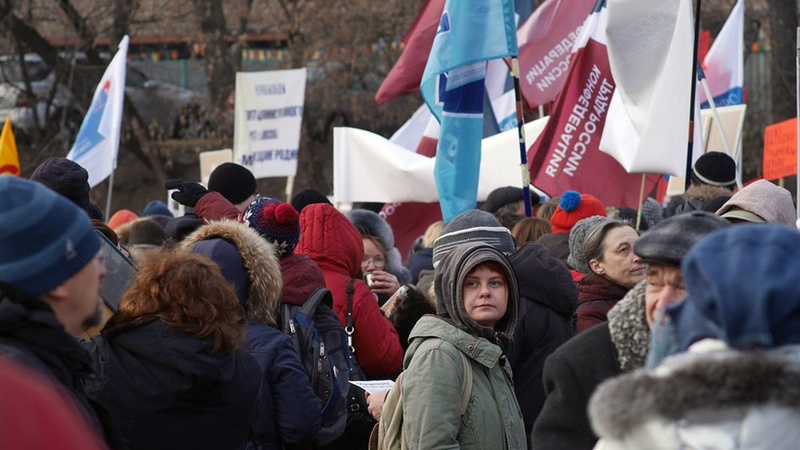 “People see their standard of living falling, but the rulers say it’s growing,” the Vedomosti business daily quoted political analyst Nikolai Petrov as saying on Sunday in comments on the poll. Meanwhile, Russians’ distrust of politicians contrasts with their trust toward regular people, with 37 percent of respondents in the poll saying that a majority of the people around them are truthful most of the time. Levada conducted the survey among 1,600 respondents in 52 Russian regions between Nov.22 and Nov. 28.